Do you read the local blog, Cowtown Eats? If not, we highly recommend subscribing to the blog or just bookmarking the page on your web browser. The blog features happy hour specials throughout Sacramento, so that you will always know where to find the best cheap eats and drinks. Last Thursday, Cowtown Eats featured our very own Paragary’s Bar and Oven. 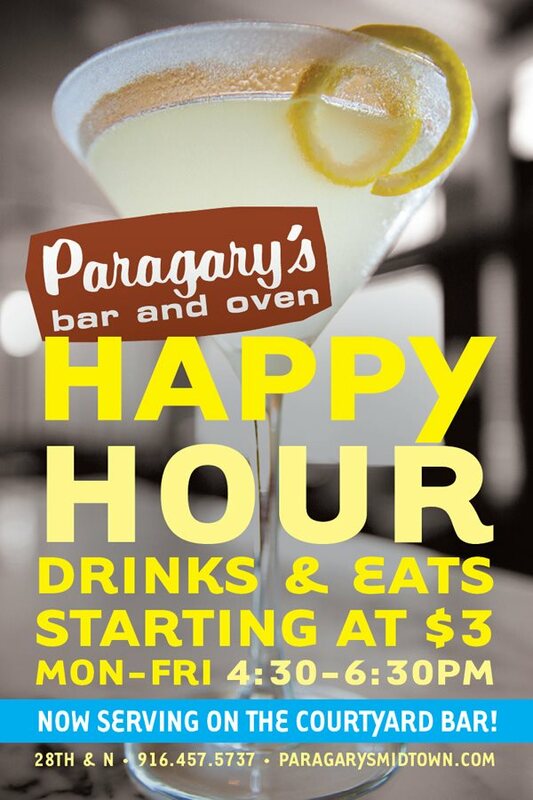 Every Thursday this summer, Paragary’s Bar and Oven is offering FREE French Fries or House Olives during Happy Hour (4:30-6:30pm). In order to take advantage of this great deal, just say “Happy Thursday” to bartender TJ or Lisa.